Hello folks! I have another Paper Smooches project to share using the fun Love Struck set. 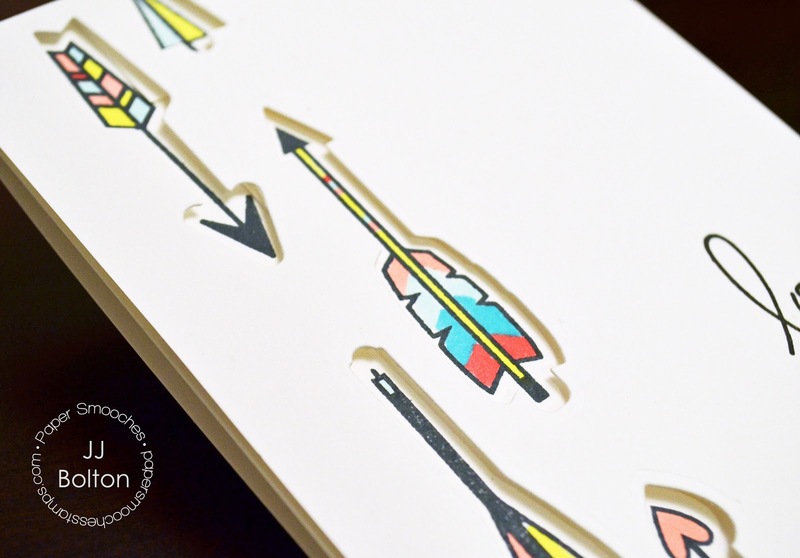 I die cut the arrows into my panel and then layered it over my stamped and colored arrows. 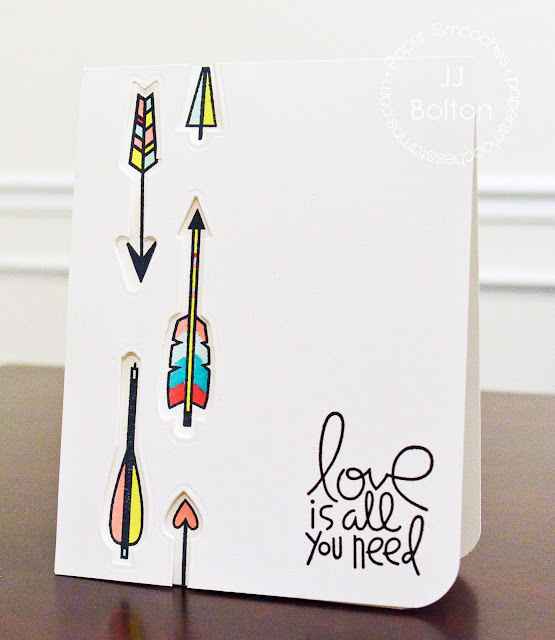 I love the variety of arrows and how you can get a different look every time with a bit of coloring. Thank you so much for stopping in today! Hope everyone is having a wonderful Christmas Eve day!!! Love the colorful arrow. Cute card. So clever, and oh, so fabulous, JJ! I love how you colored in each of the arrows and of course there's all that yummy white space, too! Sending you my best wishes for a very Merry Christmas!! !